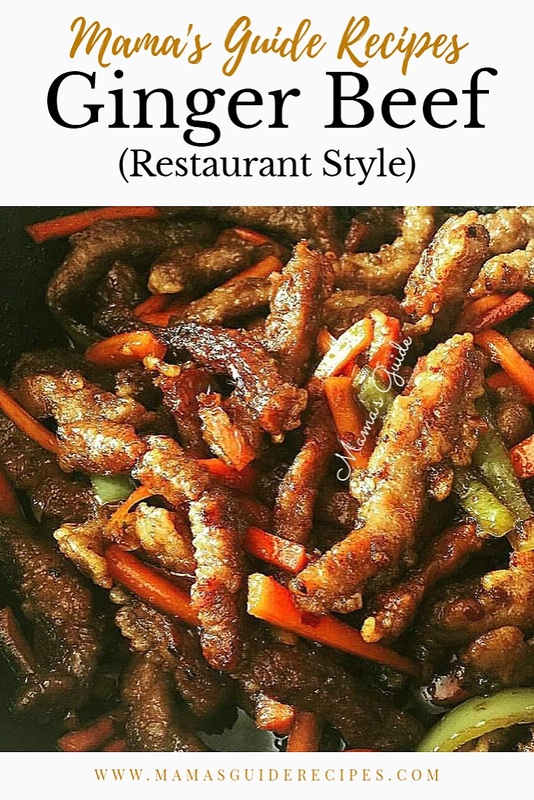 How about a Crispy Ginger Beef with steamed rice! It is crispy, sticky, sweet, spicy and beefy goodness all in one. This recipe is not Asian food but from Calgarians. Legend has it that this Ginger Beef originated in Calgary at Silver Inn Restaurant. Try it before the end of this week, your family will love this new recipe. Happy cooking! Partially freeze the beef for 15-20 minutes to make it easier to cut it into thin strips. If making homemade ginger juice, grate the fresh ginger and squeeze out the juice until you have 2 tablespoons. Cut the partially frozen beef along the grain into thin strips the approximate length and width of matchsticks. Add the marinade ingredients and marinate the beef for 25 minutes. To prepare the batter, combine the flour and cornstarch. Stir in the vegetable oil, and the hot chili oil if using. Add as much water as is needed to make a smooth batter. It should not be too dry or too runny, but should lightly drop off the back of a wooden spoon. Heat the oil for deep-frying to 360 degrees Fahrenheit. Dip the marinated beef pieces into the batter. When the oil is hot, add the beef and deep –fry until it is golden brown. Increase the heat to 400 degrees Fahrenheit. Deep-fry the beef a second time, to make it extra crispy. Remove and drain. Clean out the wok. Push the vegetables up to the sides of the wok. Add the sauce in the middle. Heat to boiling, then add the deep-fried beef back into the pan. Mix all the ingredients together. Remove from the heat. Stir in the sesame oil. Serve hot. Enjoy!